Home » hp-slider » The Army Rugby Union is saddened to hear of the passing of Peter Eastwood. The Army Rugby Union is saddened to hear of the passing of Peter Eastwood. 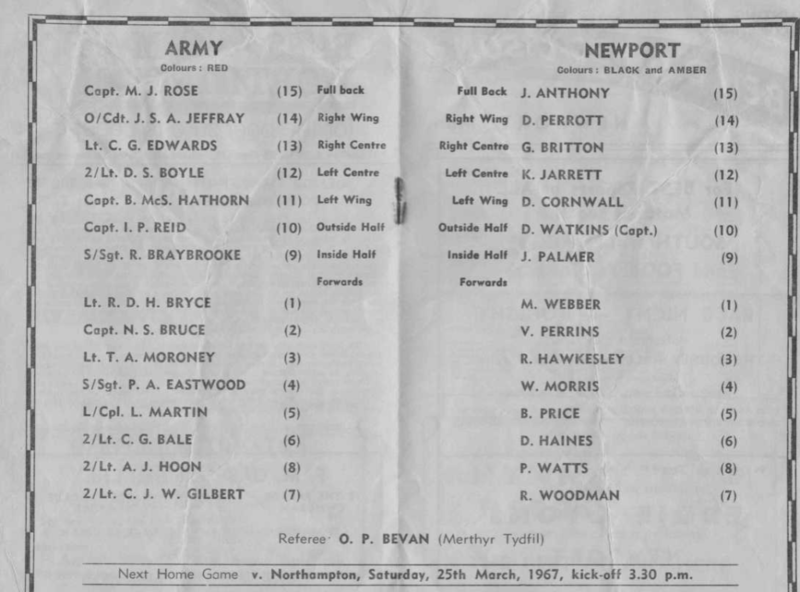 Peter played for the Army and the Combined Services during the 1960s; also representing the Barbarians in 1964 and was an England Trialist. 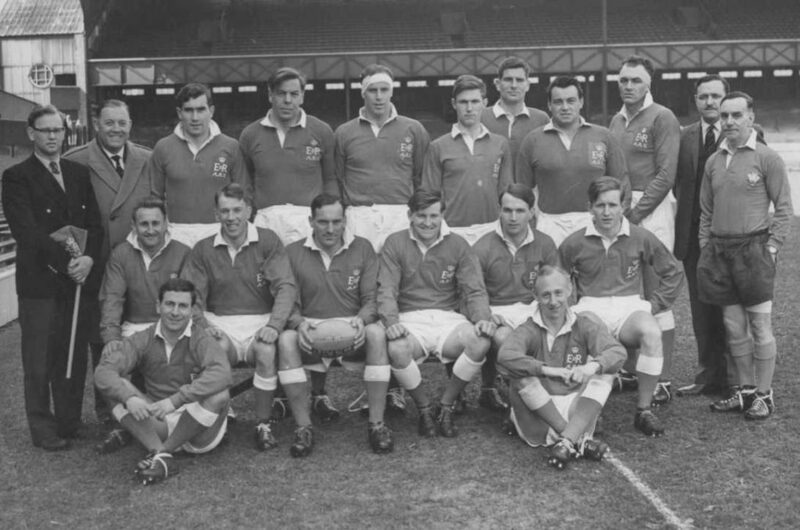 Peter is third from the right in the back row of the Army team photo taken at Twickenham in the early 1960’s. He played second row or, early in his career, as a flanker. 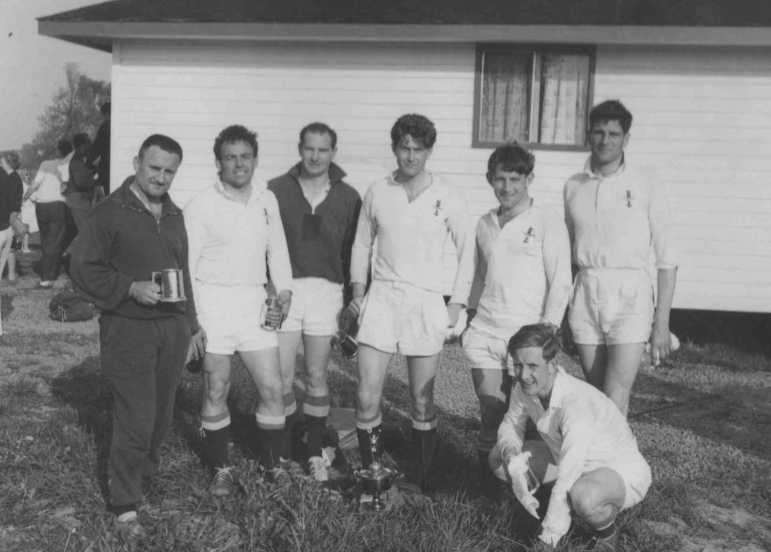 For several years in the 1960s he played his rugby out of Aldershot Services and captained the side. Peter served in the RAPC, having transferred from 2 Battalion Scots Guards in 1959. His funeral is being held at the crematorium in Langstone, Major, Gwent @ 11.30am on Thursday July 26th. Individuals that would wish to attend his funeral should contact Alison Eastwood – 07772 273908 to allow her to make arrangements for the post service reception being held at the Old Barn in Major, Gwent.